In the sprawl, and relentless churn of the Gaslamp, in downtown San Diego, thousands turn up every weekend, every week, to indulge in the sordid pleasures of the bar and nightclubs tucked into pockets of Fourth, Fifth and Sixth avenues. 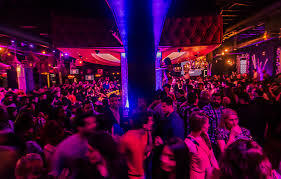 It is a varied assortment of people from casual tourists and conventioneers, the 9-5 crowd, binge drinking through the weekend, the industry crowd, servers, VIP hosts, bartenders, bottle service girls, the harder edged drug scene, and those who inhabit the clubs VIP area sections. This is an interesting cross section of society, affluent business owners, tech start ups, legal and illegal marijuana dispensaries, gang members and human traffickers, out of town businessmen, white collar fraud offenders, all looking to spend, and be seen spending. Violence is common in Gaslamp, often in inter or intra group violence within those named above, and more. Gang violence, with rival gang members colliding in the crowded streets outside the clubs is common, ranging from assaults, to killings. In 2009 a young woman was shot in the head, as rival Lincoln Park and Skyline gangsters exchanged gunfire. There are killings yearly, and violent acts every weekend, from fights to stabbings, to shootings. In this case, in the after midnight hours, of January 28th, a man named Abel Gomez, 29, has been accused of brandishing and discharging a firearm in Sidebar. A longtime Gaslamp nightclub, part of RMD group, whose collection includes FLUXX and several other ventures, it has recently reopened after renovations. Sidebar is a mid level club, not the high price of newer arrivals, Omnia and Oxford Club at Pendry, the crowd is younger, early 20's, but many end up in it's small, close space, with two bars, and VIP tables lining the sides. The area is small, fights and disputes are common, alcohol and drug fueled, spilling out onto the streets in the minutes before closing. After a dispute involving the groping or touching of a woman, Abel Gomez was confronted by another individual, attempting to intervene, and after words were exchanged, Gomez drew a pistol, and fired at least five times. Reports say he did not hit anyone, but pointed the gun at a security guard, and appeared to be trying to scare patrons, witnesses, and the person he fought with. He was unable to be detained, before police could respond, and it considered a fugitive, though authorities say they do not believe him a threat to the public. Official reports from the police, through multiple source,s have noted his alleged involved with the Arellano Felix cartel, which is a complicated and murky statement in itself. There is no explanation for why authorities have revealed this information, or what led them to this conclusion, no ongoing investigations, aside from the shooting have been cited. What Arellano Felix means, in 2019, is still unclear. Since infighting and splintering, after 2006, CAF has been counted out. The players and stars of the 2000's are often executed in public, newspapers detailing their crimes and hidden identities. The different classes have mostly been wiped Tijuana, the Logan crew, after the arrest of Melvin Gutierrez, a lieutenant of Fernando Sanchez Arellano, aka El Inge, in 2013, the execution of his brother Benjamen Gutierrez, aka El Kecho, and the murder of Jose Lorenzo Hernando Garcia, aka Viejon November in 2015, there has been nothing else heard. Every so often authorities in Tijuana will arrest an operator, usually a fugitive, there was El Richie in 2018, and Adan Rodriguez Guevara aka El Guero Chihuahua in 2017. The last high profile arrest was in 2014, when federal agents arrested Fernando Sanchez Arellano, nephew of the Arellano Felix brothers, and daughter of Alicia Arellano Felix. He is imprisoned in Mexico, complaining of mistreatment. His one time lieutenants Armando Villareal Heredia, have been sentenced in federal court in the Southern District of California, to 35 years in prison, while Arturo Villareal Heredia, cousin of Armando, was sentenced to 30 years in 2007. The latter was second in command to Javier Francisco Arellano Felix, arrested in 2006, off international waters, near La Paz, Baja California. Since 2010, there have been no known arrests or indictments of CAF or Arellano Felix members, as Sinaloa, and more recently have dominated those press releases and arrests. In Tijuana, there are banners from CAF and banners from CTNG, naming longtime Arellano Felix operators, such as Don Balas, Manuel Lopez Nunez. whose son, Eric aka Balitas was kidnapped in 2005 by Los Palillos, infamous San Diego based kidnapping crew. Lopez Nunez was arrested in 2008, and released in 2014. 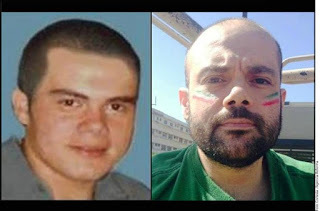 Chencho Beltran, is another Arellano Felix name that is mentioned, along with Juan Vargas Gallardo, aka El Chan, who has been arrested and released multiple times in Tijuana. But, other than a mention in a narcomanta, these names are not heard of, and no one knows where they are, or how they work. Front line of the CTNG/Nueva CAF, aka Cafatera is Edwin Huerta, aka Flakito, who has been linked to crystal distribution in Tijuana, and numerous killings. He is not yet 35 years old. A lieutenant, Carlos Garmino Gonzalez aka Karateca was arrested in Mexicali in 2016, and released two years later. It was said that Javier Arellano, only 38 when arrested, would cross the border and party in San Diego nightclubs, with only the company of women, and a few bodyguards, in the years before his arrest. The legacy of the onetime owners of the Tijuana plaza still lurking, clinging, the behind shots of whiskey, and bottles of champagne, leather clad women with sparklers, and affordable plastic surgery, refusing to die, refusing to leave. In no way related to Damaso, no? Thanks J for a great piece. I've been wondering about Balas, el Chan and the Vieja Guardia but it's TRUE not much is known about CAF. It was probably just a loner that at the heat of moment probably mentioned a cartel to make himself appear dangerous when faced with a beat down for disrespecting woman. Conclusion is just that, and this is a non story that should be tucked away. CAF is done in the drug game and live off their legitimate businesses. Not true at all 7:54. They are around no where near the past. Chencho Beltran currently is The Godfather of the Arrelano Felix Cartel. He and his relatives own several Pemex gas stations in Tijuana. He launders millions for CAF through his legitimate businesses.. He also mingles with the business men and politicians. Flaquito reports directly to him. Chencho is the Michael Corleone of the CAF. Very dangerous individual. I remember when i was a kid in the early 90s aya en tamazula dgo ya pasiaba don chencho beltran en su 🚁. He been top dog low key since early 80s. Piloto would be junior to men like Don Balas and Chencho Beltrán, who have been in the game as long as Piloto has been alive. I think the remnants of the Arellano-Félix family still have some pull, as Enedina is always referred to in CAF’s mantra “puro gente de la Tia”. Piloto doesn't exist he's a myth. as a SD resident, i would advise doing some research before calling violence common in the gas lamp. The facts do not support that. Exactly! I routinely travel to and through SD, and all this “violence” in The Gaslamp must’ve just commenced a few days ago! Sure, there are fistfights amongst drunks, and the rare shot fired, but this article makes it seem like The Gaslamp rivals Zona Norte in Tijuas. This site can be very disappointing at times...terrible translations and fake news have to make you wonder about the validity of their published stories. You must not be in the loop. You forgot to put just saying lol. Exactly, as someone who lives in the gaslamp I can tell you that there are sporadic fights and not much else. Usually 20 somethings who are drunk. This makes it seems as if its an unsafe area which its far from. That Abel guy fucked big time because they left a narcomanta threatening him. Right on the money J! Our narco bars in the Gas Lamp (Fluxx, Parq, Side Bar, Omnia) attract the young narcos. 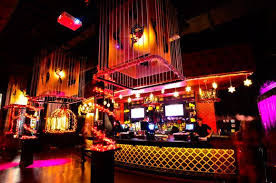 There are other establishments like Meze and El Chingon that knowingly allow the dregs of society to frequent their establishments as they have been compromised by their illicit drugs, prostitution and other vices. And of course we have Fit Athletic who attracts and condones the narcos for the same reasons. I quit this club in June 2015 because the owner allowed a local thug back in the club after he sold cocaine to an undercover officer in the club and was arrested in the club. In 2010, we spotted Juan Vargas Gallardo at LA Fitness in East Lake. He was also living in East Lake. 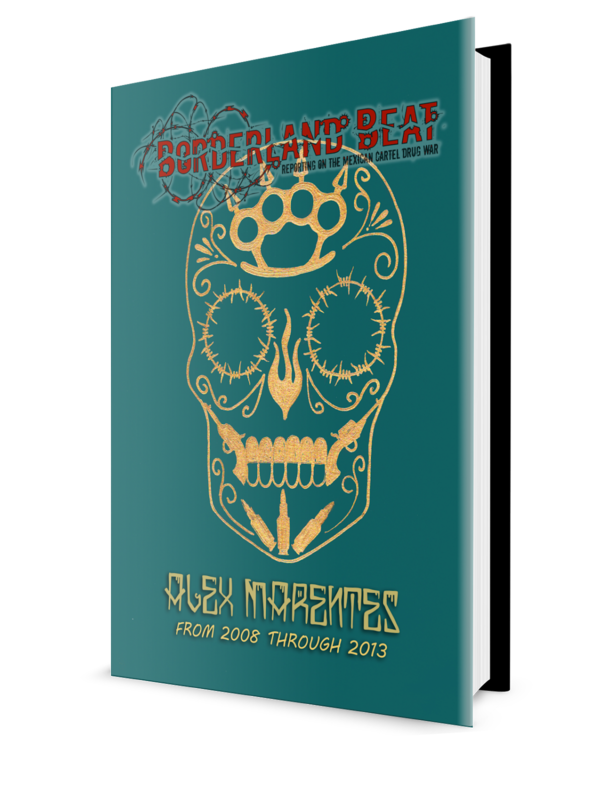 In September 2010, we escorted him to the San Ysidro POE and handed him over to Mexican federal agents in masks with automatic rifles. He was free the next day but is not welcome in the US. 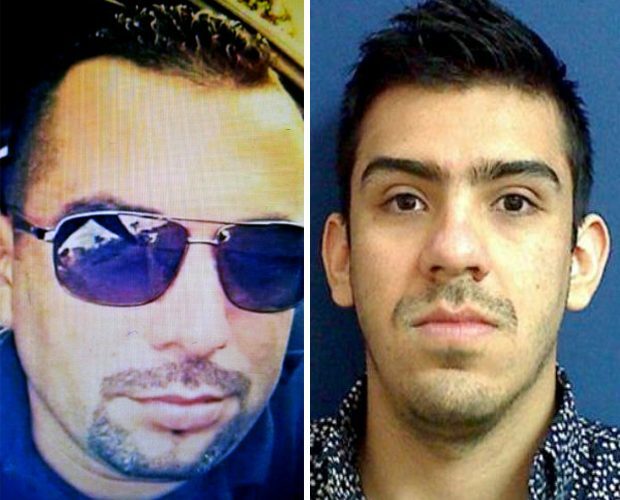 Isaac Godoy-Castro was murdered at a Tijuana gym on April 20, 2018 and Donald Wayne Nicholas was injured in early July 2018 when his truck was shot up while he was driving it in Tijuana. He is former US military. Godoy, like Melvin Gutierrez, were recruited by Barron-Corona in the 1990’s and went on to work under the direction of Gustavo Rivera-Martinez. Rivera was very close to Javier Arellano and they both lived in the East Cape of Baja. Adolfo Perez-Zambrano and Manuel Ivanovich Zambrano-Flores are Barron and Rivera lieutenants who are still out there and can easily get the crew back together but they have to be weary of hanging out in Tijuana as they may meet the same fate as the Avila-Valenzuelas, Godoy, Kecho, Viejon etc..
Steve D, who ever u are, if you are real, please give more stories. 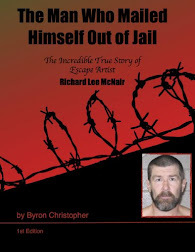 How in the hell is Donald Wayne Nicholas free in Mexico? Wasn’t he extradited to the US in 2011 on serious (thousands of pounds quantity) drug trafficking charges? He must have made one hell of a deal to turn the 20+ year sentence he was facing into a slap on the wrist. Steve do you think that the AFO will ever rise again ? Do they have the capability to regain structure. Steve is my hero, he is a straight up guy who is selfless and truly just wants to do what he can to educate people. @2:33 No. The heavyweight masterminds are long gone my friend. No other active AFO capo can replicate the brains of Benjamin, Don Chuy Labra, Mayel Higuera, el Caballo, kitty Paez. Let alone the militarized logistics of Ramon, Tiburon, David Barron etc. CAF lost the Tijuana plaza becuase its armed wing was decimated and most of the political connections were severed due to low revenues of the cartel. You have to understand that back then in the 90s the money was way deeper. Constant sandbags of millions. Enough to payoff every branch of gov and military. Now , Benjamin is getting out soon but I doubt he will want to back to the trenches. Bottomline, That ship has sailed. You forgot to mention don balas, and he's still operating. Old school capo. Refusing to die and actually killing them is totally different. Suggest the latter. Off topic, does anybody know who is the short cute lady that always accompanies Emma to court? @2:59, because that’s what people with money do. Us peasants won’t be able to understand. This article has no real foundation to back his ties. I can't even begin to tell you how many people I have met in California, Arizona, Texas that all claim they are connected to some group. If he really is the real deal then we need to be provided with insight into his history. Gaslamp is weak and caters to the trust fund douche bag crowd. I lived in downtown SD for 10+ years. Narcos would not fit in. Thank you Chivis for your kind words and thank you anonymous for the piggie pic. I prefer a pug though. I was a probation officer for 12 years and a CALDOJ Agent for 20. Since 1993, I have followed the AFO and was a part of the investigation and ultimate indictment, apprehension, extradition and prosecution of Benjamin, Ramon, Eduardo and Javier. There were lots of us along the way and a few of us got to see it through. My infusion into the case came with the Logan Heights gang members recruited by David Barron after the war with Chapo was sealed in 1992. We worked the streets of Logan Heights arresting hundreds of gangsters with our sight on Barron and developing witnesses. I switched careers to stay on the case. My teammates and I successfully indicted David Barron by turning many of his fellow gangsters against him but he ended up dying several months later. We primarily investigated the enforcement arm and ended up indicting Ramon next. He too died before we could get to him. 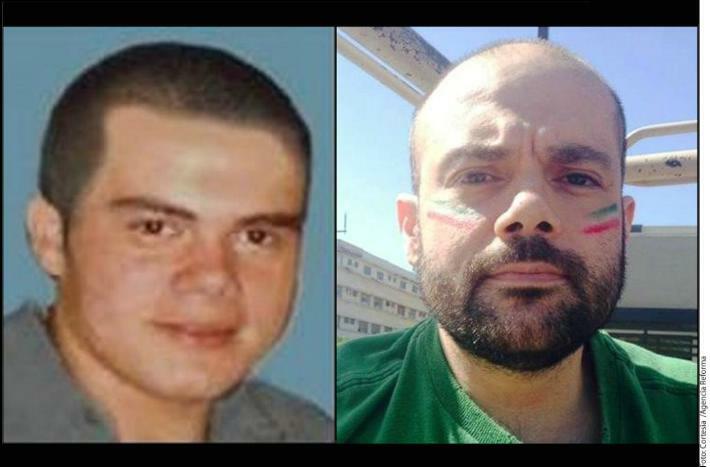 We kept working and indicted “Bat” Marquez and Gustavo Rivera-Martinez, who was the mastermind of the bomb mentioned a few articles ago in an attempt to kill Mayo. Bat was indicted, extradited and is doing a life term in federal prison. We arrested Rivera in 2008 in Los Barriles, Baja Sur but he claimed duel citizenship and has manipulated the Mexican system and has not yet been extradited. We were there assisting the Mexican police with logistics and they made the arrest. He is someone we are very anxious to get. Rivera and Barron met in federal prison in Phoenix in 1988 and maintained a friendship and business relationship laundering drug proceeds and moving tons of coke, weed and meth into the US. Rivera took over for Barron when Barron died and became the right hand to Javier. He purchased the boat Javier was arrested on and, for some reason, did not want to go fishing on the day the boat chased a marlin into international waters. Rivera and Javier owned many properties in Baja Sur and spent much of their time their. Rivera had his trusted lieutenants running the daily operations in Tijuana. They were Melvin Gutierrez-Quiroz, Manuel Zambrano-Flores, Adolfo Perez-Zambrano, Fernando Avila-Valenzuela, Isaac Godoy-Castro, Mario Rodriguez, Giovanni Rivera, Manuel Diez-Castillo and others. 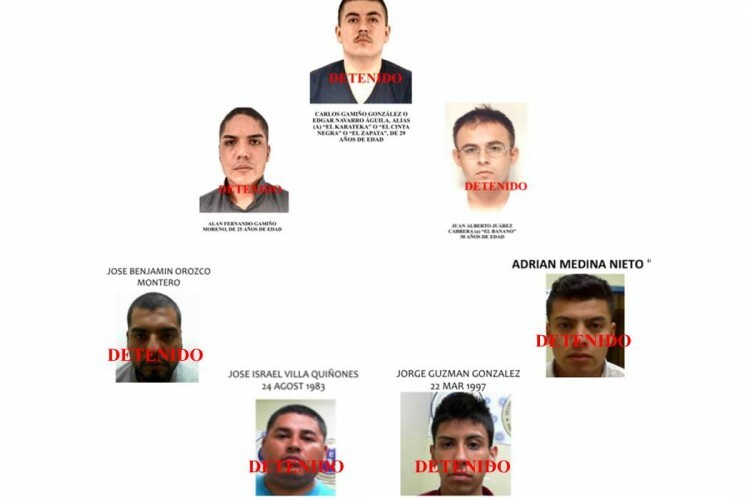 Several of these guys are still out there after being released from Puente Grande and have teamed up with the Jalisco people. Rivera’s crews were low-profile, polished, loyal and organized. Rivera knows the justice system well as he was convicted of multiple felonies in the US and always found a way out. He knew the signs of people snitching and even told his guys that if they were arrested in the US, to cooperate but take the first opportunity to flee to Mexico like he did in 1995. Steve D, thank you for sharing your posts and thank you for your service. what about the old ladies narco from the 70s in tijuana where are they now ....who is the one that introduce scicilia falcon to miguel felix Gallardo narcos mexico…. This shouldn't be a story at all. There is no foundation to really back his ties to any organization. In addition narcos don't frequent the gaslamp. It's trust fund losers with mom and dad's mom pretending they made it in life. There is nothing accurate in this article about his ties to a cartel or the culture of the gaslamp san Diego. Of course there are all kinds of people in nightclubs, and most places, for that matter, but if one doesn't think there are drug traffickers and human traffickers (pimps, is what I mean, but this is how the US Attorneys Office views things) all kinds of criminals in the VIP section in nightclubs....as opposed to the Hobby Lobby or whatever, they are either unaware, or unable to comprehend. It's a fact. As for violence, one mustn't think that there are shootings and killings every weekend, but there are fights, obviously, and stabbings, acts of more serious violence on a regular basis. I would say there have been no less than 5 shootings in the Gaslamp and immediate areas in the last 6 months or so. His ties were put out by official police sources, for what reason, I don't know, how well established it is, I don't know. I do know, they wouldn't be saying it without reason.